We like to think that no challenge is too great for our talented team to handle. No job too big, too detailed, too intimidating or too bizarre. Over the years we have created hundreds and hundreds of models, mock-ups and props and it is genuinely impossible to choose which ones we like the best. However, there are five projects that stand out for all of us, simply because they each posed a slightly different challenge from our usual remit, and left everyone who worked on them feeling especially satisfied with the results. This intriguing project took our team an entire year to build, but it was well worth the time and effort. 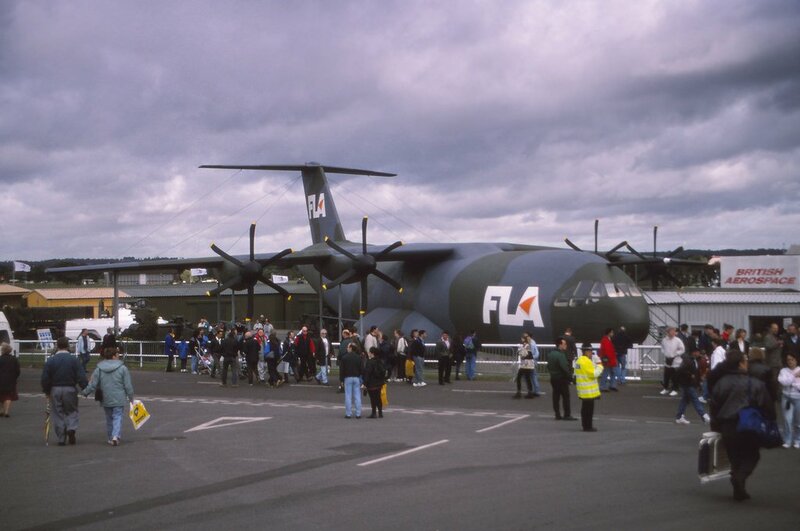 British Aerospace asked us to build the world’s largest mock-up of a Future Large Aircraft (FLA), in association with French aerospace manufacturer, Aerospatiale. The futuristic plane would be put on public display at the Farnborough International Airshow and would incorporate all the features that you might expect to see in the real thing. We worked around the clock to design and create the mock-up, building in a 40-metre wingspan and adding rear-opening doors and enough space for a real light tank to be driven inside. 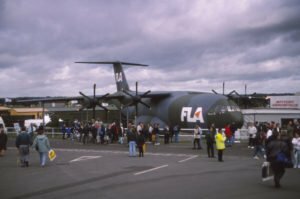 It was greeted with unanimous acclaim at the Show and helped secure significant public and media interest for British Aerospace and Aerospatiale. In 2011, we went ‘back to the future’ for this fun project to build a fully working mechanical automaton for Hugo – an historic adventure drama film directed by Martin Scorsese. Our brief was very clear. 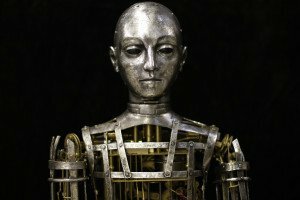 There was to be no CGI used for this endearing character – we had to produce a mechanical ‘Hugo’ that could ‘run like clockwork’, or at least appear to do so on screen. In the period when the film was set, automatons were popular with the wealthy sets, who used them to amaze and entertain their friends. This project gave us much to think about as we relocated to the World Economic Forum in Davos, Switzerland to help recreate the desperate world of displaced refugees for its delegates. In association with Crossroads Foundation, an international charity working with refugees, we transformed a huge underground car park into a ‘Refugee Run’ with realistic scenes depicting a refugee family, a village leader’s house, a minefield, border crossing and, finally, a large refugee camp, complete with tents and a medical centre. We used our extensive TV and film prop-making experience to make the scenes as realistic as possible with the aim of drawing delegates’ attention to the plight of displaced refugees across the globe. We built most of the props and physical sculptures in our studios and transported them to Switzerland to complete the set dressing on site. We were proud to be part of such a thought-provoking venture. Click to view more of the props for the Refugee Run. 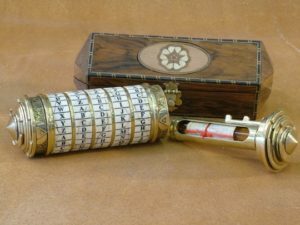 Word of our film prop-making expertise reached the directors of The Da Vinci Code, who entrusted us with the creation of the Cryptex; a key prop in the 2006 Tom Hanks adventure epic. 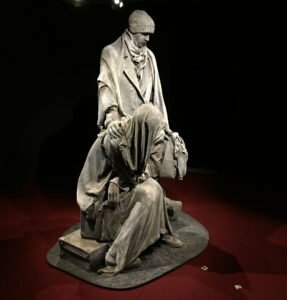 We met with the film’s creative team, who commissioned us to design and engineer the portable vault that was made from antique gilt metal and imitation marble. It incorporated a highly complex coded security system and was used to convey top-secret messages. Da Vinci Code author, Dan Brown coined the term ’Cryptex’ in his 2003 novel and it was a crucial prop in the film, adding greatly to the main storyline. Our team designed, created and delivered a top quality prop that more than matched up to its leading role in the film, adding authenticity and intrigue. After filming finished, the prop was sold at Christies to a movie memorabilia enthusiast for just under £14,000. 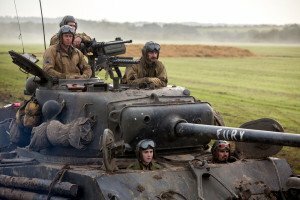 For our final ‘challenging’ choice, we look back at the life-sized interior of a Second World War Sherman Tank, which we designed and built in just six weeks for the director of Fury, the 2014 war-based film starring Brad Pitt. Our brief was to build a model that was large enough to house an entire film crew, but realistic enough for the audience to believe they were seeing the inside of a real-life tank. Our model not only met that brief, but it could also be taken apart in sections to allow easier movement for cameras and actors. We also wired an original control panel that could be operated by the actors for even greater authenticity.